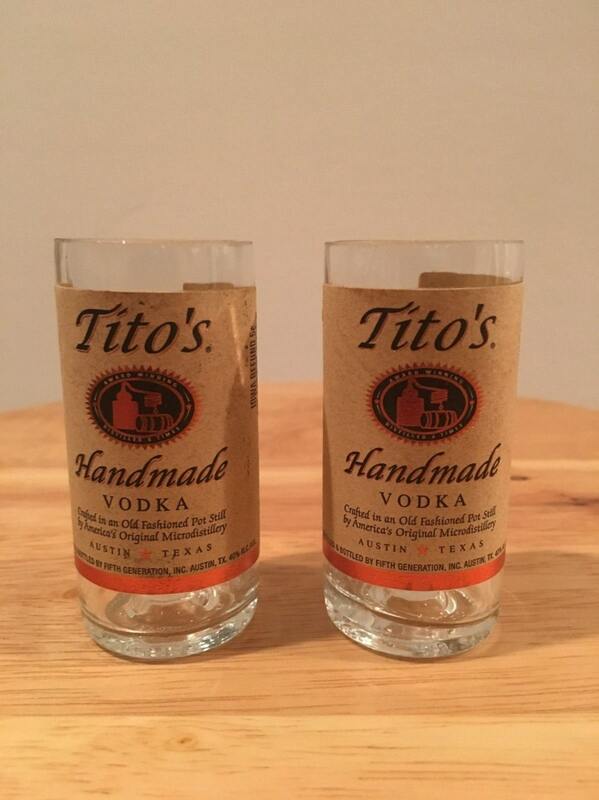 You are purchasing (2) Tito's Vodka shot glasses made from 50ml travel/airport size bottles. Great for any Tito's and/or vodka enthusiast. Bottles have been cut and sanded for you to enjoy future shots in style. Glasses made from a smoke free home. Be sure to "Like" B-Cycled Bottles on Facebook.